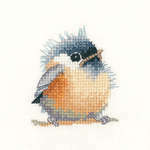 Enjoy working beautiful cross stitch kits from the leading designers and studios. We offer only branded, genuine and original products. Our prices are heavily discounted and shipping is free - wherever you live. 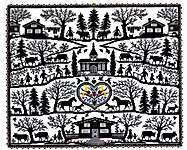 Counted cross stitch kits are the most popular - you use a chart or graph to count where each stitch is made in the evenweave or blockweave fabric. Aida, Evenweave or Linen Fabric and thread or floss is included with each kit. 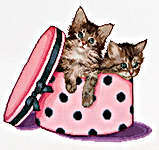 Every kit has a chart included; stamped or embellished kits have the pattern printed on the fabric. Permin of Copenhagen needs no introduction - the grand-daddy of them all still offers traditional European design and a vast range of themes. 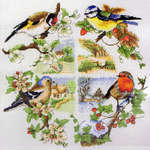 Lanarte of Holland put the emphasisis on style with kits by many well-known cross stitch designers. Many of these definitely have the 'wow' factor! 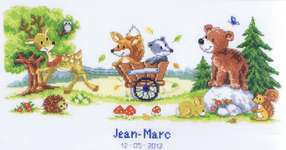 Vervaco (Belgium) produce distinctive and popular kits, especially wedding and baby samplers. Some are in sepia! Bothy Threads for colourful, witty and inspiring designs to brighten your day. 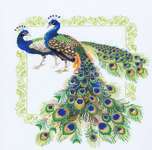 John Clayton of Heritage Crafts (UK) offers several themed collections - elegant ladies, ballroom dancing, international landmarks and evocative English country scenes - and lots more, too. Derwentwater Designs feature low and medium priced designs with a strong emphasis on the English way of life. 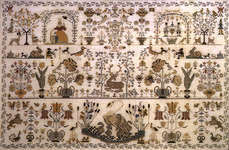 Eva Rosenstand offers an elite collection of almost unlimited variety - from silhouettes to historical samplers. Thea Gouverneur is a prolific designer from the Netherlands with a vast range of products for the advanced stitcher. Her international cities such as St Petersburg, London and New York are inspiring, challenging and rewarding. Anchor offers a range of products and are especially good for long stitch. DMC Creative have a great range of products: Tatty Teddy, the Snowman, flowers, Geishas - there's something for everyone here! 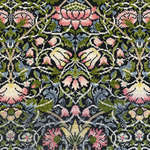 maia by Coats focus on contemporary decorative art and their products are of exquisite quality. Janlynn is one of the leading US makers featuring traditional samplers, birth and wedding announcements and Christmas designs. Luca-S is a European maker whose designs feature traditional flowers, landscapes ladies and cute kids. 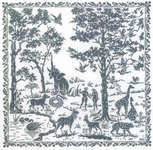 Marie Coeur feature samplers and posters in the French style. 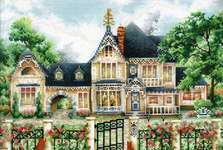 Princesse offer a range of designs from art by Gustav Klimt to Paris themed designs. Rico Design are especially good for Christmas-themed products: wall hangings, table covers and even decorations.